Cardboard in worm farms is to increase the carbon to nitrogen ratio. Cardboard in worm farms is to maintain the carbon to nitrogen ratio greater than 20 parts to 1. In other words, more carbon and less nitrogen is desirable. This is generally not a problem when using only material from the garden but, if you start to add waste such as chicken or meat to your feed, it raises the nitrogen content considerably. These nitrogen rich wastes should never be more than 10%, by the way. This can happen, for example, if you are using scraps from a restaurant in your worm farms; they would often be high in waste that has too much nitrogen; cardboard or paper, or even cabbage leaves, are the solution. Avoid seafood and dairy products. The cardboard in your worm farms should first be soaked in water and then shredded manually into smaller pieces that the wrigglies can easily access. Some folk like to soak the cardboard overnight first; the worms can then more easily crawl through the waste, letting in air. An anaerobic environment is not desirable; it's toxic for the worms and releases unpleasant odours. A sure sign that this is happening is if you notice the worms are crawling out of the farm. Whilst generally not a problem, some management of your worm farms is necessary; as a rule they are very tolerant little creatures. When turning the feedstock, I prefer to use a garden fork rather than a spade; you are less likely to injure the worms which can happen very easily when using a shovel type of instrument. 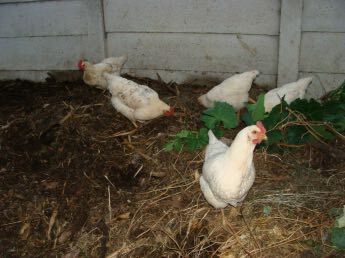 Cardboard in worm farms, known as a bulking agent, should consist of about 20 percent of the feed given to the wrigglies; it also helps control the water content. Making the contents of the waste material more porous allows the worms better access through the feed, enabling them to reach undigested food more easily. Mix the cardboard in your worm farms thoroughly into the waste, not just placing it on the top; in fact it's even more important deeper in the trough where they might not get enough oxygen. If you are using only garden waste like grass cuttings, then you don't need cardboard in worm farms. If your worm farms are too wet, then air cannot penetrate deeper into the waste food; cardboard helps to maintain a more suitable environment for the little creatures. This can happen if too much rain can penetrate the container; watch to see if a large amount of dilute leachate is collecting in the bucket. The cardboard also retains water helping to prevent the worm farms from drying out. It's generally kept to around 20% of the feed, but this can be increased if more meat or bread are being used; together they should not constitute more than about 10 percent of the waste. How often you feed your worms needs to be managed. Small amounts of kitchen waste and garden organics can be given daily; personally I go to the opposite extreme, just because it's convenient, providing a heavy feed once every six weeks. Again, watch to see if they start to crawl out of the container. 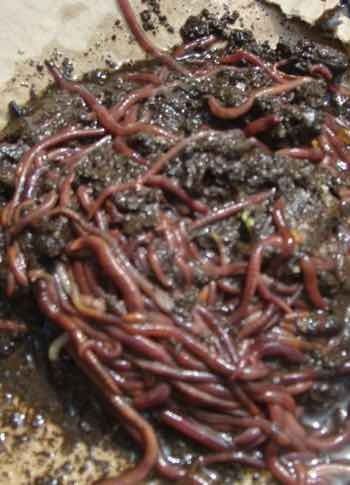 Overfeeding can be a problem; a sure sign will be an unpleasant smell if the worms are unable to cope with the excess food. We often collect several bags of the outer leaves of cabbages from the greengrocer; chopped a bit with a garden spade, they too will be an excellent bulking agent, less likely to have any contaminants that may be in the cardboard. It provides air in worm farms; essential as they are aerobic creatures, same as us. 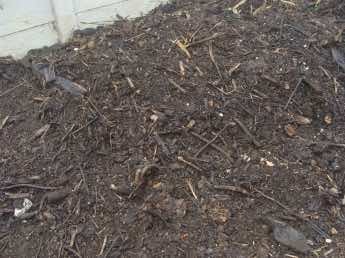 Both the leachate and the vermicompost will greatly enrich the health of your garden soil. Germination of seeds improves and your plants will take off when grown in vermicompost, or watered with the leachate. The primary purpose of our worm farms is to provide protein for our hens; the vermicompost and leachate are a byproduct that have turned out to be more important than we initially realised. Our worm farms are basically for the chickens in the garden. These rainbow worm farm experiments proved far more interesting than we anticipated; lots of colour and far more flowers. And that in the veggie garden, of course, means better vegetables and fruit too. It's difficult to get real organic food; our solution is to grow and rear as much of our own as possible. It's become an abused term, just a marketing tool of little significance unless you know the farmer. Best chicken feed includes protein from the worm farms which means you need a supply of bulking agent like cardboard.